“After five decades, twenty books, and countless columns, [John Gierach] is still a master,” (Forbes) and his newest book only confirms this assessment, along with his recent induction into the Flyfishing Hall of Fame. In A Fly Rod of Your Own, Gierach brings his ever-sharp sense of humor and keen eye for observation to the fishing life and, for that matter, life in general. 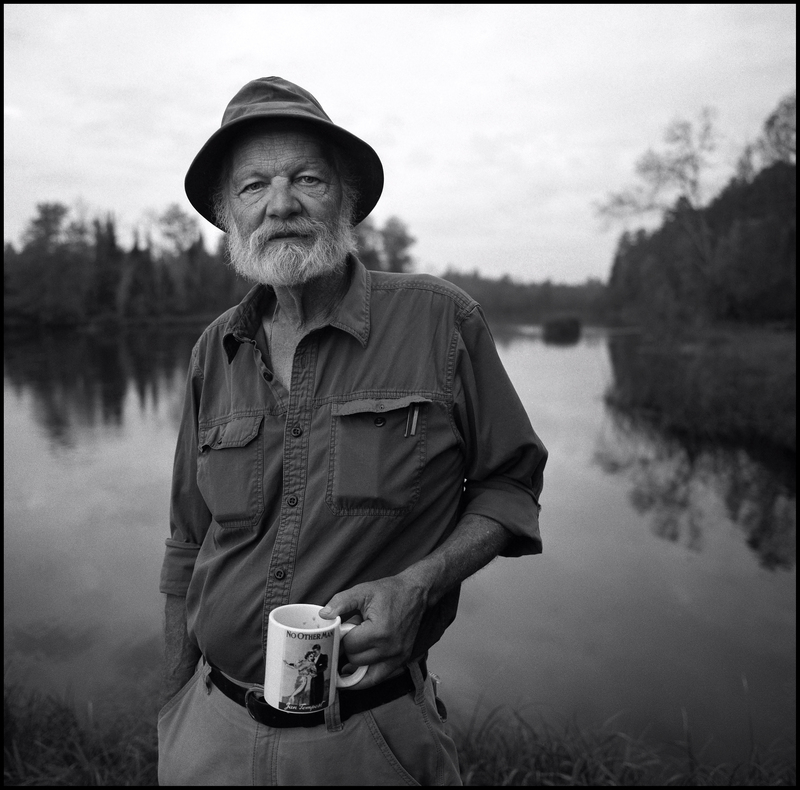 Known for his witty, trenchant observations about fly-fishing, Gierach’s “deceptively laconic prose masks an accomplished storyteller…his alert and slightly off-kilter observations place him in the general neighborhood of Mark Twain and James Thurber” (Publishers Weekly). A Fly Rod of Your Own transports readers to streams and rivers from Maine to Montana, and as always, Gierach’s fishing trips become the inspiration for his pointed observations on everything from the psychology of fishing (“Fishing is still an oddly passive-aggressive business that depends on the prey being the aggressor”); why even the most veteran fisherman will muff his cast whenever he’s being filmed or photographed; the inevitable accumulation of more gear than one could ever need (“Nature abhors an empty pocket. So does the tackle industry”); or the qualities shared by the best guides (“the generosity of a teacher, the craftiness of a psychiatrist, and the enthusiasm of a cheerleader with a kind of Vulcan detachment”). As Gierach likes to say, “fly-fishing is a continuous process that you learn to love for its own sake. 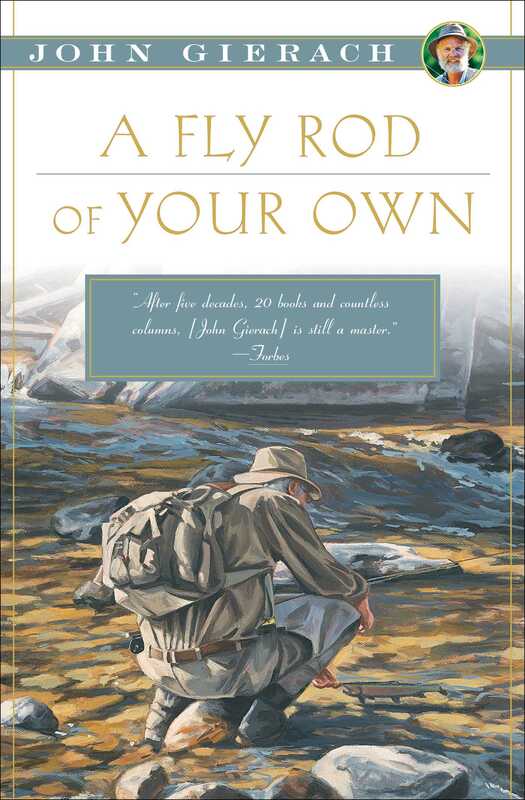 Those who fish already get it, and those who don’t couldn’t care less, so don’t waste your breath on someone who doesn’t fish.” A Fly Rod of Your Own is an ode to those who fish that “brings a skeptical, wry voice to the peril and promise of twenty-first-century fishing” (Booklist). The goal of fly-fishing isn’t just to catch fish, but to catch them with style. Or, to put it another way, no one ever sets out to be half-assed at anything. You’d recognize style when you saw it even if you didn’t know the difference between a fly rod and a pogo stick. (If you’re like me, it was the mere sight of a good fly-caster that finally sent you out shopping for a fly rod of your own.) Think of those fly-fishing films in which all the tailing loops and motorboat drifts ended up on the cutting room floor, leaving only the economy of effort and absence of theatrics you’d notice in anything that’s done so well it looks easy. Filmmakers will tell you this ineffable quality is as difficult to capture as it is to find. After all, the first rule of style is: don’t try to show off if you don’t have the chops. And the second rule is: don’t show off even if you do. The fundamentals of fly-fishing take time and effort to learn, but once you get the hang of them you’ll begin to have days when you fish beautifully. You won’t be wrong if you feel that you’ve now entered the prime of your prime: the time when you’re old enough to know what you’re doing and young enough to do it without breaking a sweat. You can even be forgiven for thinking you’ve reached a pinnacle of competence and that from here on out it will always go this smoothly. It won’t, but every day on the water is still a fresh start, and every fisherman goes fishing expecting the best, just as every painter sits down at his easel planning to produce nothing less than a masterpiece. I’m not one of those natural-born fishermen—it didn’t come easily, and I’ve always had to work at it—but I do have my moments. I’ve been fly-fishing for over forty years now, and even if I’m not the best wader, caster, fish spotter, or flytier, I’ve learned to work well within my limitations, like a three-legged dog that can still go for a nice, long walk. The effect is cumulative. You naturally bring everything you know to every day of fishing, and the more days you have under your belt, the more you bring. If nothing else, the fly rod that once seemed so strange and awkward will now be thoughtlessly familiar, and the push of current against your legs and the slippery, uneven bottom are no longer surprising. Do you still remember the first time you waded into a river that tried to knock you down, and what a shock it was? I do, but only because I walk past the exact spot every few weeks and always shake my head over that dumb kid who tried to cross right there instead of thirty yards upstream where it’s so much wider, shallower, and easier. I wasn’t thinking clearly because I’d spotted a large trout rising in a side channel on the far side of the river—the biggest trout I’d ever seen there—and in my excitement I took the direct route. My father once told me never to take my eyes off my goal. He forgot to mention that I should also glance down at my feet from time to time to avoid falling on my face. I didn’t catch that fish, and never saw it again. I wonder now if I imagined it. There are few broad strokes in fly-fishing. It’s all specific details strung together in a precise order; too many details to think about, really, but over time you wear neural pathways and the process resolves itself into something like instinct. This happens gradually and comes from nothing but repetition. There are no shortcuts, and the hunt for shortcuts only distracts you from the business of letting the craft become second nature. Eventually you lose track of how little you think about it until someone asks you to teach them how to fly-fish and you do have to think about it. Why can’t you explain it better than you do? Well, partly because you’re not a casting instructor, but also because by now you’ve made hundreds of fine adjustments that you’re no longer even aware of. Still, some days you fish brilliantly and some days you don’t, for reasons that are never clear. Often it has to do with the quality of your concentration. Fly-fishing isn’t as hard as some make it out to be, but it does demand your full attention, so if you’re worried that your investments are going south or that your wife is cheating on you, chances are you won’t fish well. It sounds like heresy, but there really are days when you should have stayed home to take care of business instead of going fishing. Other times it’s as inexplicable as any other kind of off day. Yesterday you waded sure-footed through fast, waist-deep current, flicking accurate casts at will; today you’re stumbly in six inches of water and your fly finds every twig and leaf in range. Maybe you should have checked your horoscope before leaving home. Or maybe it’s garden-variety stage fright. I almost always fish better with friends or when I’m alone and unobserved than when there are strangers around—especially strangers who stop to watch or, worse yet, train a camera on me. There are some casters who don’t mind an audience and a few showboats who thrive on the attention, but most of us can do without unsolicited reviews. Once I was steelhead fishing on the Sandy River in Oregon with a guide named Mark. It was my first trip with a two-handed rod, and I confessed to him that I was self-conscious about my spey casting. He just shrugged (guides can be ambivalent about a client’s “feelings”). But then a little while later we came around a bend and saw a lone fisherman halfway down the run making one effortlessly perfect spey cast after another. Mark said, “Just stand here and stare at the guy for a few minutes and watch what happens.” We did, and sure enough, as soon as he noticed us, he got flustered and pooched his next cast. Mark was just trying to show me that even those who know what they’re doing can be ill at ease about their casting, but I immediately felt guilty about it. As a demonstration this was educational, but it was also pointlessly mean. For all the talk about innovation and the hot new fly patterns, rods, reels, lines, tactics, and destinations, most days fly-fishing simply consists of going through the motions, and there’s nothing wrong with that. (Woody Allen said, “Eighty percent of success is just showing up.”) The motions are often complex, subtle, and difficult to master, and they exist in the first place because they’re known to work. Certain kinds of steelhead and salmon fishing are entirely mechanistic, designed to work the water in identical increments with a controlled swing so that every fish in a run will see your fly swimming at the same depth and speed. This kind of fishing usually goes best when it’s done in a kind of trance, which is a good thing, because a trance is unavoidable. Trout fishing is sometimes more surgical, especially when you’re casting to rising or visibly nymphing fish and the accuracy of your cast and the quality of the drift are crucial, although fishing is still an oddly passive-aggressive business that depends on the prey being the aggressor. The particulars are always unique and sometimes surprising, but over time you see fewer and fewer things that you’ve never seen before, and what seems like inspiration often involves nothing more than going through a second or third set of motions, as in, “When all else fails, fish a beetle.” On the other hand, genuine creativity breaks at least some rules; so if you’re skunked and get a weird but interesting idea, try it. The worst that can happen is that you won’t catch fish, which is what’s happening anyway. There’s also the matter of being free and uncluttered in your fishing. This has never been easy for me, because I’ve always been a sucker for all the paraphernalia that bogs down the sport. Even as a boy the fishermen I admired weren’t necessarily the ones who caught the most fish but the ones with the biggest and best-stocked tackle boxes—tray after tray of brightly colored plugs with stylized scales or frog spots and the blankly staring eyes of cartoon characters. I still have my father’s old tackle box just as he left it the last time he went fishing nearly half a century ago, right down to the fossilized worm crud on some of the bait hooks. I take it down from the pantry shelf and open it every few years for sentimental reasons. This is now a private observance, because in the past I’ve shown it to collectors who all said it was a damned shame that the potentially valuable old lures weren’t in mint condition in their original boxes, but had actually been fished. But back to being lean and mean. Too much stuff leads to too much fumbling, both physical and mental, while clarity of intent can take the place of one hell of a lot of superfluous tackle. I’m able to travel light on the familiar freestone creeks near home, where I fish comfortably with half a dozen flies and no more other odds and ends than will fit in a pants pocket. Part of this is the result of years of trial and error over wild fish that have to feed aggressively and opportunistically if they want to feed at all. The other part is the knowledge that most of these creeks are only minutes from home, and tomorrow is another day. I can sometimes manage the same thing while steelheading, although all the spare Skagit and Scandi heads, cheaters, tips, and poly leaders that steelheaders now carry can make the handful of flies a moot point. I can even sometimes bring myself to go smallmouth bass fishing with two or three Whitlock’s Swimming Frogs and some wire shock tippet so the occasional pike or musky doesn’t bite off my expensive deer hair bugs. Still, I find it a constant struggle to live with the kind of simplicity that eliminates struggle. All I can do is keep reminding myself that Lee Wulff once said, “The last thing you should change is your fly,” which is good advice that’s easier to follow when you don’t have five hundred flies to choose from. But on unfamiliar rivers and those where the trout are known to be difficult, I still clank around with a waist pack containing no fewer than six fly boxes (seven if I bring streamers), plus spare leaders, multiple tippet spools, fly floatant, weight and strike indicators for nymphing, clippers, pliers, leader gauge, a line cleaning applicator that I never use but should, magnifier glasses for small flies, and a headlamp so I can find my way back to the pickup if I stay out past dark. And that’s pared down from when I wore a canvas vest with twelve pockets on the outside and eight more on the inside, plus two large, overlapping cargo pouches in the back. That was the last in a series of vests, each with more pockets than the previous one in case I needed them, which I somehow always did. (Nature abhors an empty pocket. So does the tackle industry.) But that vest began to produce a chronic ache between my shoulder blades that started in midafternoon and lasted until I finally shrugged the thing off at the end of the day. This was further aggravated by the large 35mm film camera I carried around my neck for a couple of decades in an unsuccessful attempt to be a fly-fishing photojournalist. There was an obvious rule here that I was finding it harder and harder to ignore—namely, that if your back hurts at the end of a day’s fishing, you’re carrying too much stuff. I have an old friend who used to guide a highly technical tailwater out of a single small fly box, although I think he had a storage bin with more flies hidden under the driver’s seat of his pickup. That’s not as impressive as it sounds, since given time and attention, any river can be reduced to a single box, but it still makes the point. He said there’s no need for redundancy because it’s usually fly size, accurate casting, and a good drift that catch fish. He also said there’s no reason to carry more than three or four of any one pattern, because if you burn through all of them, you’re either having such a good day that you can afford to quit early or such a bad one that you should pack it in and try again tomorrow. He suggested that I had somehow confused flies with money in the bank, which is why I’ll never feel I have enough. Of course he’s right, but I continue to collect flies—not to mention rods, reels, lines, and other assorted gizmos, as well as trips to new water—for the same reason everyone else does: because it’s easier than becoming a better caster or lying on your belly on a riverbank for hours at a time to observe the behavior of insects and study the secret habits of fish. I’m talking about what you could call original research. My friend with the single fly box once said that most of what we all think we know about fly-fishing came from books, and that those books were written by people who learned most of what they knew from other books, and so on back for five centuries. That’s not exactly right, but it’s not entirely wrong, either. It explains why the best fishermen are the rare ones with all the time in the world on their hands or guides who spend their days watching the fish their clients are trying to catch. Still, it’s hard to resist tying new flies for a trip. Day-to-day life, with its death spiral of chores and errands, can make even a big fishing trip seem unreal right up until the moment you toss your duffel and rod case in the pickup and drive to the airport. But tying flies before a trip clears your mind and gives you something to do besides pacing, fretting, and packing more gear than you’ll ever use. Flytiers are always looking for an edge and can’t leave well enough alone for both practical and emotional reasons. They remind me of some poets I used to know who would write a poem every morning with their first cup of coffee while they were fresh from sleep and, as one of them put it, “still blessed with the different mind.” In a way that was just an exercise in craft, but they all secretly envisioned publishing a critically acclaimed book called Mornings or Caffeine or maybe Hangover that would jump-start their careers. All of that explains why I have something like twenty old fly boxes on a shelf in my office, all full of flies, some of which I haven’t used or even seen in years but must have once believed in or I wouldn’t have tied or bought them. For that matter, I still have my old hardback copy of Immanuel Kant’s Critique of Pure Reason. It’s a thin book but so dense it could shield you from radiation, and I promised myself back in college that I’d keep the thing until I could not only finish it but understand it. By now my philosophy degree has expired and I’ve abandoned the effort, but I keep the book out of stubbornness. Likewise, I could easily get rid of all those old flies, but it would be too much like sending a good dog to the pound because he’s gotten too old to hunt. For that matter, I may find that I need some of them again. If not, they’re at least souvenirs of trips that, for one reason or another, can never be repeated. And anyway, twenty fly boxes don’t take up that much shelf space. And then there’s the inevitable question of motive. Sooner or later, everyone who writes about fishing gets around to talking about why they do it. It’s an irresistible literary exercise that has produced great work like Robert Traver’s “Testament of a Fisherman,” which reads in part, “I fish . . . not because I regard fishing as being so terribly important but because I suspect that so many of the other concerns of men are equally unimportant.” But even that masterpiece amounts to the answer to a question no one ever asks. In the real world, those who fish already get it, and those who don’t couldn’t care less. It’s not exactly a secret society or anything; but really, if you want to talk about the trip of a lifetime to some remote river, don’t waste your breath on someone who doesn’t fish. It does all seem to be about the trips, whether they’re short or long, near or far, familiar or exotic, but in the long run, fly-fishing is less a series of discrete adventures than a continuous process that you learn to love for its own sake. It doesn’t always pan out, and few of your successes will be as spectacularly memorable as your failures, but even the drudgery serves a useful purpose. A friend with a little ranch over on the west slope of the Rockies says he spends his days putting hay in one end of his horses and shoveling it up when it comes out the other end, but that this gives him tremendous satisfaction and teaches him things he couldn’t learn any other way. "A must-read for restless fly-fishermen." "After five decades, 20 books and countless columns, [John Gierach] is still a master." "Gierach's deceptively laconic prose masks an accomplished storyteller. . . . His alert and slightly off-kilter observations place him in the general neighborhood of Mark Twain and James Thurber." "Informs, inspires, and entertains. . . . Gierach brings a skeptical, wry voice to the peril and promise of twenty-first-century fishing."